If the economic downturn has prompted your shop to cut its IT budget, you to search for lower-cost virtualization management tools, this guide features the top 10 free virtualization management tools of 2008. IT budgeting is a pain point for IT administrators. But given today's global economic crisis, reduced IT budgets and staffing cutbacks, it's worth considering free virtualization management tools that can do the job almost as well as more expensive commercial applications. Over the past year, many companies have released new applications for VMware ESX and VMware Infrastructure suite, including several free VMware tools. And just because they're free doesn't mean they aren't competitive with paid products. As a fan of free tools, I have tried nearly all the free offerings over the past year. Here is my list of the top 10 free VMware tools of 2008. 1. VMware Infrastructure Management Assistant (VIMA). When VMware removed the service console from VMware ESXi, it had to give administrators similar functionality back in some form. The VIMA appliance offers a command line centralized management console for ESXi servers where you can create scripts that can manage and configure multiple ESX and ESXi hosts. Best of all, it is completely free. 2. Storage VMotion plug-in. 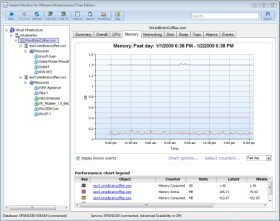 SearchVMware.com blogger, book author and VMworld speaker Andrew Kutz wrote one of the most well-known VMware plug-ins to date: the Storage VMotion graphical user interface (GUI). At my local VMware user group, I was surprised to discover that few administrators know what this plug-in can do, which is all the more reason for its place on the top 10 list. The Storage VMotion plug-in allows you to use Storage VMotion via drag and drop instead of via a command-line interface. You simply click on a running VMware ESX guest virtual machine (VM) virtual disk data store and drag it to another. 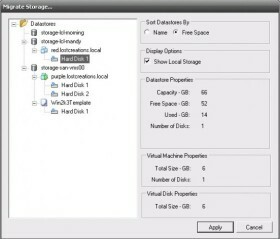 Like all the tools in the list, the Storage VMotion GUI plug-in is free. 3. Solarwinds VM Monitor. This small application looks like a Windows Vista desktop gadget or an Apple Mac OS widget. This good-looking set of graphs shows you the performance of a VMware ESX Server (and its guest VMs) with data gathered using Simple Networking Management protocol (SNMP). 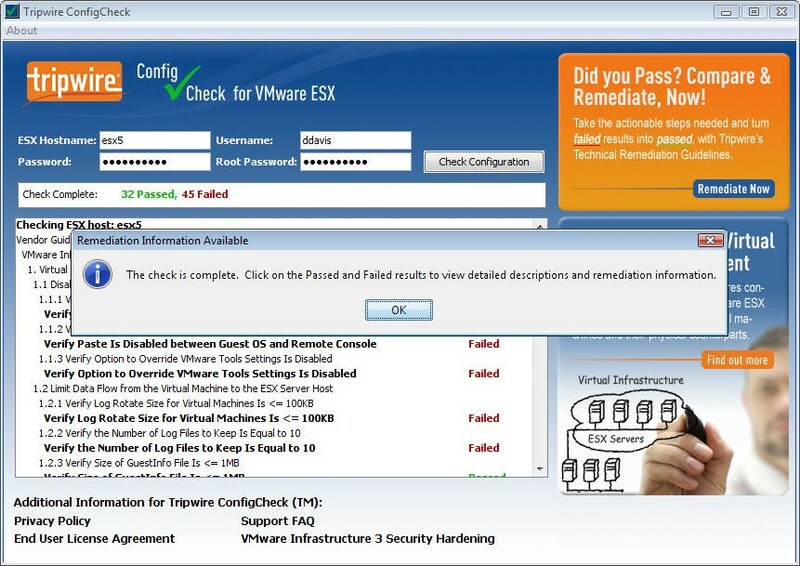 However, you can only monitor one host at a time and the application on supports VMware ESX, and not ESXi. You can see a demo of this application in my article Use SNMP with VMware ESX to monitor server statistics. 4. Trilead VM Explorer (VMX) – VMX enables you to view virtual disk files associated with the configuration of each guest VM. You can then copy those VMware ESX virtual disks from one ESX host to another or to your local guest machine. VMX is a great option for manually backing up guest VMs (alternatively, you can spring for the moderately priced commercial version and automatically schedule backups). VMX also features VM disk image compression, console access to the ESX hosts, a snapshot manager and more. For more information on VMX, see my article Backing up and managing VMware ESX virtual machines with VM Explorer. 5. TripWire ConfigCheck and ConfigureSoft Compliance Checker. At just a few megabytes each, both these tools are relatively small but can quickly assess the security of VMware ESX servers and offer step-by-step instructions on how to resolve security vulnerabilities. Both tools are free and they are easy enough to download, install and run that you could receive reports from both tools on your production network in less than 20 minutes. Check out my article on TripWire ConfigCheck for installation and usage how-tos. 6. RV Tools. RV Tools gives you a small reporting and categorization engine for your virtual infrastructure. For each guest VM, there is a report on vCPU, vMemory, vDisk, vNetwork, vFloppy, vCD, vSnapshot and vTools. The columns in each report can be sorted to indicate which VM takes up the most host memory, for example. Although RV Tools is largely a reporting tool, it can perform an individual or mass upgrade of VMware Tools – a cool feature in itself. RV Tools has limitations, however. It can't manage more than one ESX host at a time, and you can't print or export data. 8. SearchMyVM. VKernel specializes in virtualization software, and it deploys its software as virtual appliances. Virtual appliances have direct access to the virtual infrastructure performance and file systems. All other vKernel offerings are commercial and are related to chargeback or performance. SearchMyVM, however, gives you a Google-like (searchable) interface for your virtual infrastructure --something VMware administrators may find useful as a virtual infrastructure grows. 9. 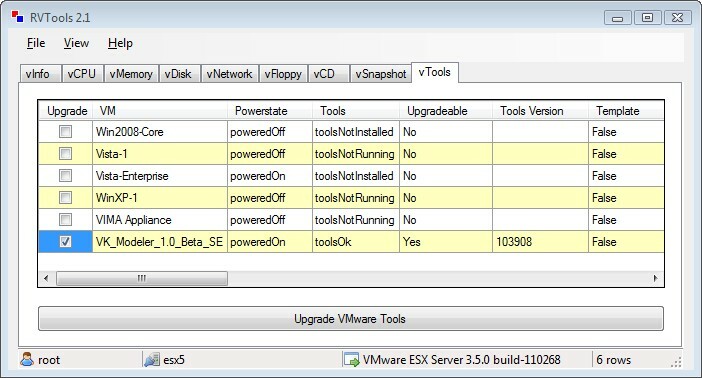 VMware ESXi Server. Although this top 10 list covers VMware tools, VMware's free enterprise-grade virtualization hypervisor ESXi should be included. While you may not be able to use VMotion or Update Manager, ESXi is still, in my opinion, the most powerful hypervisor available (what are the names of those other free hypervisors? I forgot). 10. Veeam Monitor Free Edition. 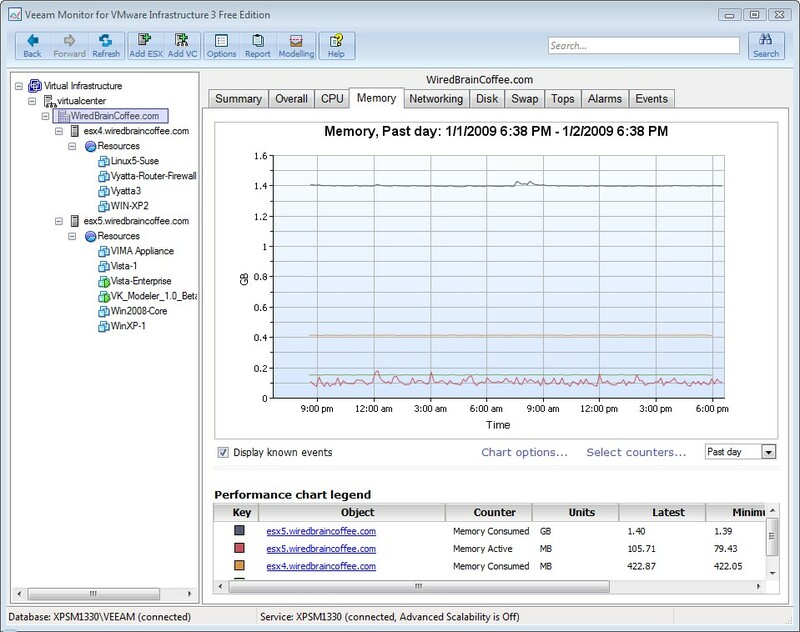 Announced at the end of 2008, Veeam Monitor uses the VMware application programming interface to go directly to vCenter and monitor performance for ESX hosts and guests. It can do this in real-time and correlate ESX events with performance data. 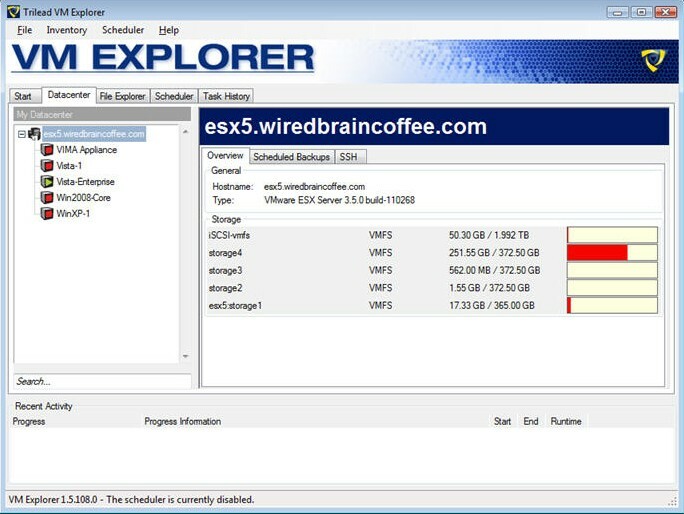 It offers full-featured alarms for ESX hosts and guests based on performance triggers. Veeam Monitor supports ESX and ESXi, is true client/server, and is salable (as installed) for managing the performance of hundreds of ESX hosts (if you purchase the commercial edition). For a more complete review of Veeam Monitor Free Edition, read "The benefits of VMware ESX performance monitoring with Veeam Monitor free edition." Veeam's free tools – Includes FastSCP, RootAccess Wizard and more. Xtravirt 's free tools – Includes KS QuickConfig, Snaphunter, VI3 Visio Action Pack, VISBU, VMNetBac and XtraVirt Virtual SAN. ESX Deployment Appliance – Can automatically deploy ESX host systems.